PIOUS MUSLIMS CLAIM RESPONSIBILITY FOR MURDEROUS TRAIN BOMBING IN RUSSIA……. – The Tundra Tabloids……. PIOUS MUSLIMS CLAIM RESPONSIBILITY FOR MURDEROUS TRAIN BOMBING IN RUSSIA……. AL-AFP Islamists from the North Caucasus have claimed responsibility for the deadly bombing last week of a Russian passenger train, according to a statement posted on Wednesday on a website linked to Chechen rebels. “This operation was prepared and executed along with other acts of sabotage, planned from the start of this year and successfully carried out against a set of strategically important sites in Russia, on the orders of Caucasus Emir Dokku Umarov,” the statement on the website KavkazCenter.com said. 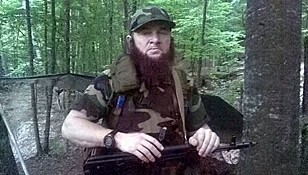 Umarov is the self-proclaimed leader of the “Caucasus Emirate”, which has sought to unite various Islamist groups in Russia’s North Caucasus and establish Islamic Sharia rule in the region. Friday’s bombing killed 27 and injured about 100 people on the Nevsky Express, an upscale passenger train running from Moscow to St Petersburg that was popular with well-off Russians. Previous Post Previous Post EU COMMISSION’S PUPPET PRESIDENT ROMPUY’S FIRST STATE VISIT IS TO FINLAND……. Next Post Next Post THE EYES HAVE IT: NIQABED WOMEN IN YEMEN TELL OF HOPES AND DREAMS……!